Valentine's Day is coming up this weekend! I know its a cheesy, commercial holiday but I'm a romantic at heart (what literary lover isn't?) and I love Valentine's! 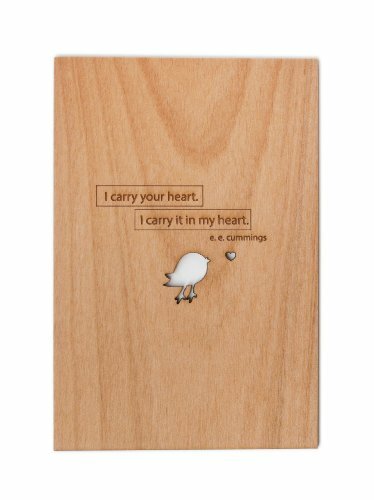 Here are a few ideas for gifts to give the book lover in your life. Book lovers love to smell books. That's a fact. Just simply one of the most romantic books AND movies ever written/created. E.E. Cummings writes the words of the heart. First, this is essentially my coping mechanism for all life troubles. Second, I am constantly losing my bookmark and employ all manner of strange things to mark my place . . . tissues, receipts, pens, forks, etc. This is much cuter than all those other things.